"The story of a life and everything that came after..."
The Lovely Bones is a dramatic film that was released in 2009. It is based on the popular best-selling book of the same name. The movie is a frightening drama. It tells the story of young Susie, who was kidnapped and murdered by her neighbor. Susie narrates the whole film and shows how her family reacts to this unbearable tragedy. Susie, played by Saoirse Ronan, is a 14 year old girl living a typical young girl’s life. She lives with her parents and siblings and has a crush on a boy at school. She is your average young girl. One day walking home from school, she cuts through a field and runs into her neighbor, played by Stanley Tucci. Her neighbor is very creepy and he shows her this underground hole that he has been building. Susie is freaked out by her neighbor and she tries to escape. He grabs her and murders her, although she does not realize this at first. In the movie, it takes awhile for Susie to realize that she is dead. In her mind, she has escaped her neighbor’s clutches. She goes throughout town and her home and sees her parents looking for her but she cannot figure out why they don’t see her. Eventually she realizes that she is dead and she is terribly upset. Susie then gets pulled into the “In-Between”. The “In-Between” is a place that is between heaven and earth and it is like a type of limbo. Susie meets another girl there and they become friends but Susie is still torn. She does not want to accept that her life on earth is over and she longs to be back with her family. Susie’s father becomes obsessed with finding Susie’s killer. He suspects the neighbor and with his obsession, he begins to push Susie’s mother away. Susie’s mother is depressed in her own right and she leaves her husband for awhile. While Susie is trapped in the “In-Between” she discovers that her neighbor has murdered six other girls as well, including her friend. Throughout the film, Susie’s neighbor is trying to escape from her father’s prying questions. He gets worried that he is going to be found out so he flees from his home. While stopped at restaurant, a huge icicle falls on him and he falls to his death down into a cavern. Once he is dead and it it assured that he will not hurt anymore girls, Susie feels free to leave the “In-Between” and head into real heaven. 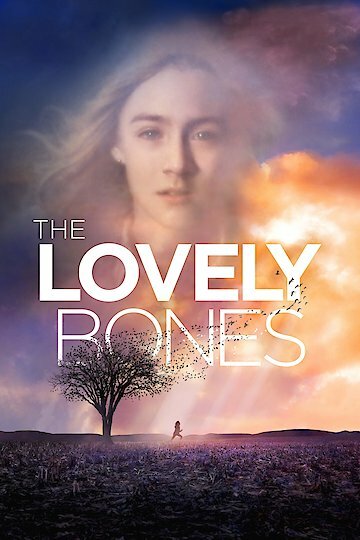 The Lovely Bones is currently available to watch and stream, download, buy on demand at Netflix, Amazon, Vudu, Google Play, FandangoNow, iTunes, YouTube VOD online.